Police in Bryant, Ark. received what must have been a rather alarming call early last week after a motorist reported seeing what appeared to be a large, dead animal on the side of the road. But not just any animal - a tiger, no less. In Arkansas. Subject advised that she stopped to take pictures of the animal, but was scared to approach it. Ofc. 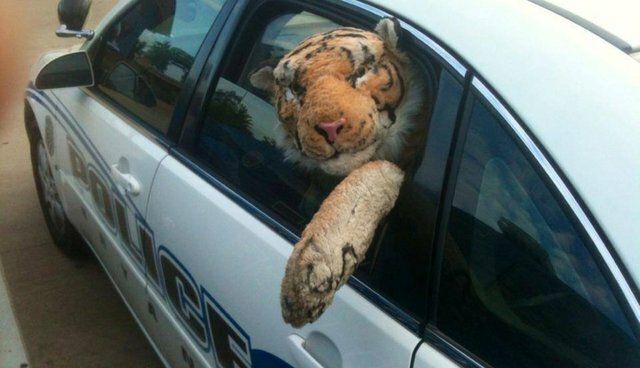 VanVeelen located the "tiger" and was even nice enough to give him a ride to the PD. 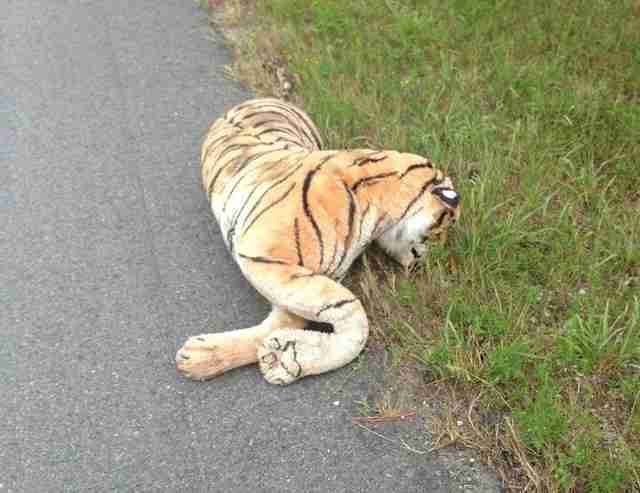 Fortunately, the "tiger" turned out to be far less ferocious than the caller had feared. The officer soon discovered that the big cat was, in fact, just a big, cuddly stuffed animal. While it was certainly good news for officers that the tiger wasn't as real as it seemed, it comes as even better news for a species that can hardly afford to lose another member. According to the International Union for Conservation of Nature, there are as few as 3,200 tigers left in the wild, having declined by around 97 percent over the last century due to habitat loss, poaching and other conflicts with humans - and sadly, their numbers continue to fall.